$45.4 Billion. That’s the amount of profit (net income) Canada’s top 6 banks made in the most recent fiscal year (BMO, CIBC, National, RBC, Scotia and TD). The Bank Profit Indicator shows the amount of profit per man, woman and child in Canada. 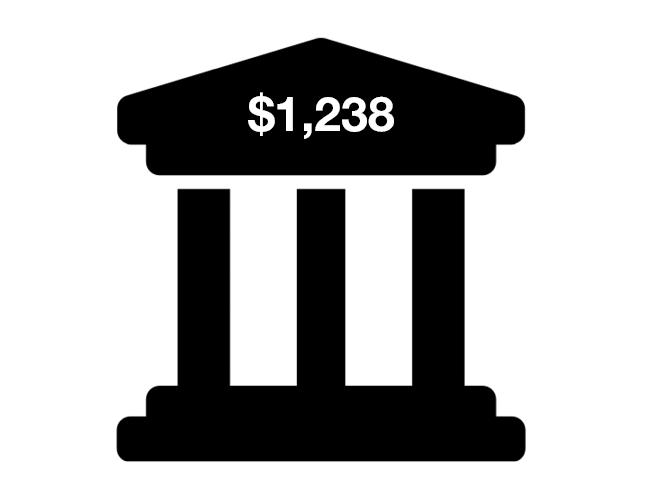 This year’s figure: $1,238. We feel obligated to report this statistic because (1) it amounts to a big chunk of Canadians’ disposable income, and (2) it’s rarely reported, presumably because the media and most investment firms are beholden to the banks for advertising and distribution. For further details on the calculation, please contact us at 1-888-888-3147.